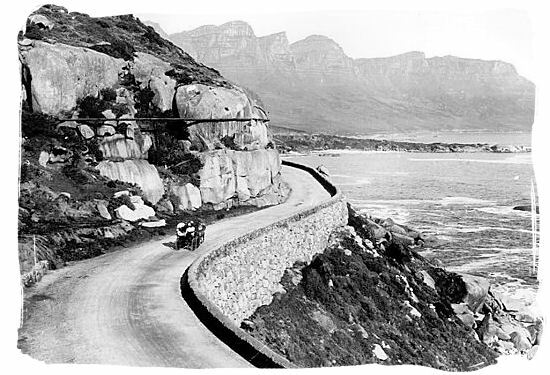 The history of Cape town and the Cape Colony is a fascinating story. Starting at the dawn of civilization, with the first written records dating back to the 1400s, it is also the starting point of the history of South Africa. 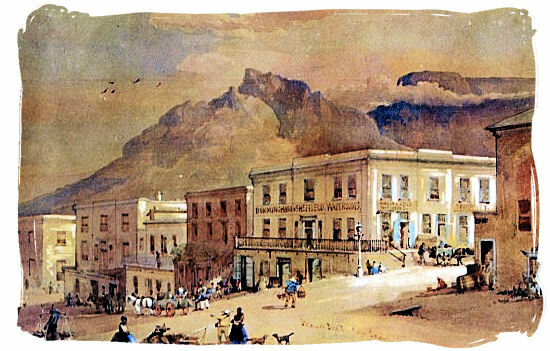 Written records concerning Cape Town South Africa's history cover a period of only around 600 years. Although we know little about the times before that, large finds of fossil remains are evidence of unwritten history encompassing a multitude of millenniums. 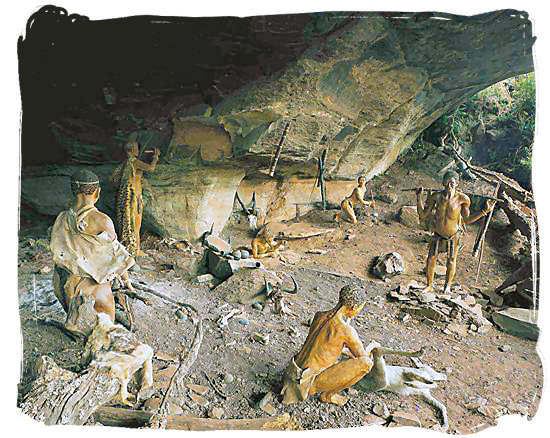 South Africa often calls itself the Cradle of Humankind because of the abundance of fossil evidence indicating early human evolution and the presence of Homo Sapiens' ancestors in prehistoric times. 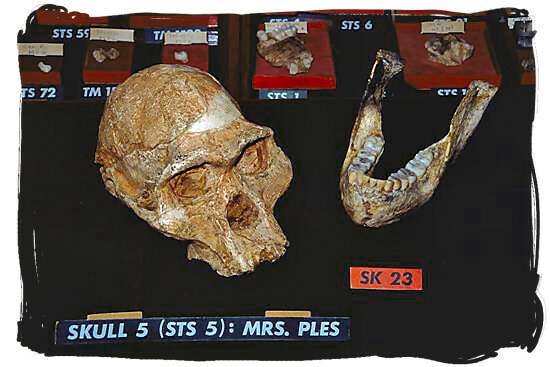 Johannesburg and its "Sterkfontein Caves" have become known for amazing finds of fossil remains of the predecessors (primitive forms of humans evolved from apes) of Homo Sapiens. The oldest evidence of Homo Sapiens itself such as footprints dating back 117,000 years and collections of bones dating back 80,000, was found in the region of present day Cape Town, especially in the mountains north of the city. The famous fossilized scull of one of the very first ancestors of humankind, believed to be 2,5 million years, old known today as Mrs. Ples. Hard evidence of the first human communities that lived in South Africa and also in the Cape region is the rich legacy of rock and cave paintings that are to be found all over the country, some of it dating back as far as 27,000 years ago. We know them as the San (Bushmen) and the Khoikhoi (Hottentot) people. In small communities of around 20 people, the San people were hunter-gatherers, living a highly mobile nomadic life, dispersed over a vast area. The Khoikhoi people on the other hand were herders of cattle and sheep and therefore able to live in larger groups, leading a more stable and home based life. The first known written record of the Cape Town area which includes the Peninsula, Table Bay and False Bay comes from the hand of Portuguese seafarer and discoverer. 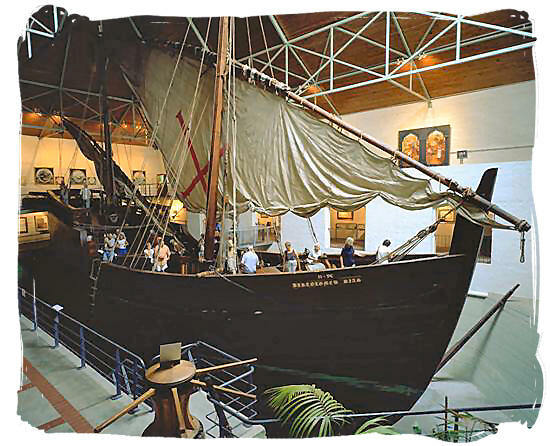 Sailing southward, following the western coastline of Africa, he and his crew were the first Europeans to reach and explore the southern tip of the African continent in 1488, after enduring an extremely ferocious storm. It is believed that because of this terrible experience, he gave the tip of the Peninsula the name Cabo Tormentosa (Cape of Storms), as it is sometimes still called today. Later however, it was replaced by the name Cabo da Boa Esperance (Cape of Good Hope), to implying the hope that the maritime route to the Far East was clear. This hope was fulfilled 10 years later when another Portuguese explorer Vasco da Gama completed Bartholomeu Dias' journey, sailing from Portugal and rounding the Cape of Storms on his way to India, proving that a sea route to the East was a feasible proposition. Because the overland trade routes between Europe and Asia were often cut off by warfare, the new sea route soon became highly popular and eventually developed into one of the busiest arteries of world trade. 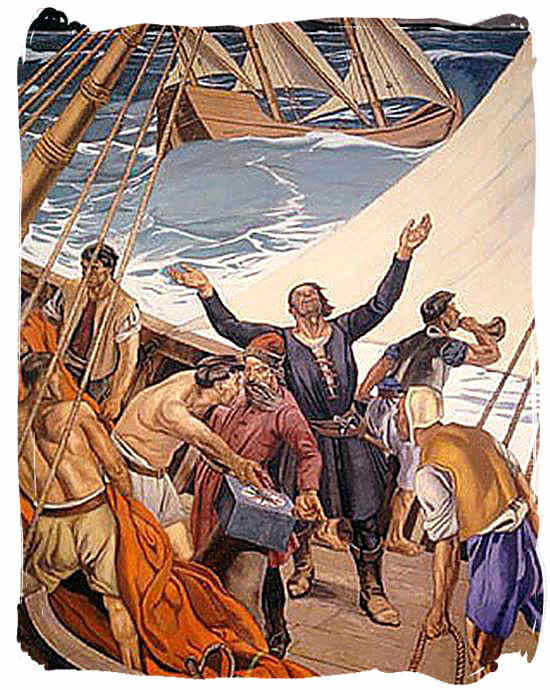 The first European to actually set foot on land in Table Bay was Antonio de Saldanha in 1503, also a Portuguese seafarer. He gave Table Mountain its name, calling it "Taboa da caba" (table of the cape), which became Table Mountain. Throughout the 16th century the Portuguese and later also the Spanish continued to dominate the trade route around the cape. 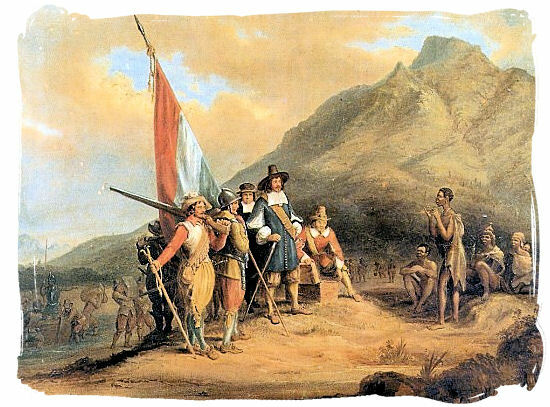 They never showed any interest of establishing on-land settlements, because firstly they feared the local inhabitants the San end the Khoi as well as the reputation of the Cape of Storms. Secondly they were eager to travel to India, turn around and get back to Europe as fast as possible, in order to cash in their profits in the European harbors. So for up to 160 years after its discovery, the Peninsula remained unaffected by the vast stream of goods and people that sailed around its shores. In 1600 the English founded the English East India Company (EEIC) followed soon by the Dutch setting up the Dutch East India Company (VOC) in 1602. 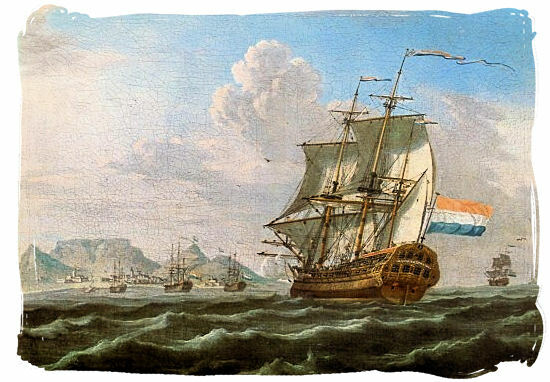 Although both became powerful trading companies it was the VOC who eventually controlled the flow of trade and commerce rounding the Cape from Europe to the East and vice versa. The English did make some use of the Cape for re-provisioning their ships. But in the end it was the Dutch VOC that decided to establish a permanent halfway refreshment station for their ships on their way to the east and back. They appointed one of their commanders Jan van Riebeeck as governor of the new settlement. 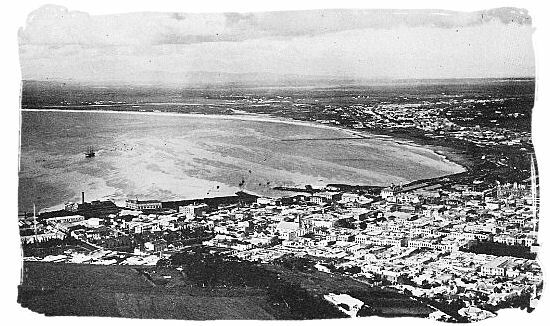 He arrived in Table bay on 6 April 1952. To fill the need for laborers the Dutch started in 1654 to bring in Asian exiles and slaves from their colonies Java and Madagascar. They are the foundation of the Cape Malay and Cape Colored communities in the cape as we know them today. 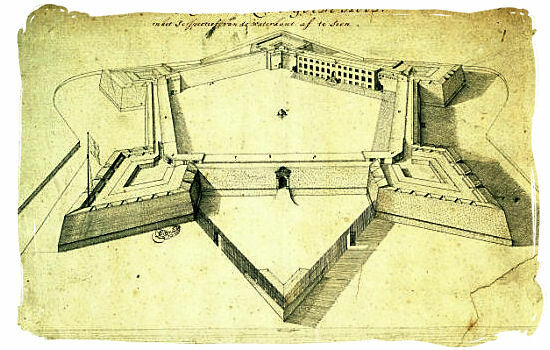 In 1666 work began to replace the wooden fort that Van Riebeeck and his people had built. The new castle built largely with bricks brought in from Holland was completed in 1679. In that year Jan van Riebeeck was replaced by a new governor, Simon van der Stel. As amateur viticulturist van der Stel brought his own grape vines from Holland, which he used to grow his own grapes and make his own wine. 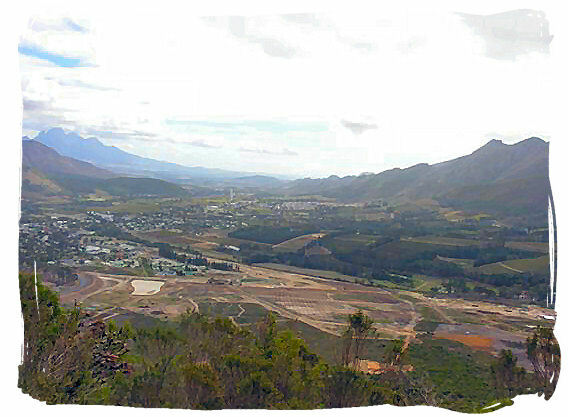 He is seen as the founder of the wine industry in the cape. The year saw 1688 the arrival the French Huguenots. Persecuted in France by the Catholics, they had fled to Holland. Looking for settlers to bolster the population of the colony in the Cape, the VOC offered them farmland and free passage. Bringing their extensive French wine production skills with them, they proved to be a great boost for the Cape's viticulture for many years to come. In 1780 war broke out between France and Great Britain. By that time the Cape settlement contained a population of around 6,000 Europeans and 7,000 slaves. The Netherlands choose sides with France in the war, which resulted in a detachment of French soldiers to be shipped to the Cape to safeguard the colony against the British. However, they left again in 1785. In 1795 Holland was invaded and conquered by the French under Napoleon and became the Dutch Batavian Republic under French control. This had serious consequences for the continuance of the cape settlement. Especially because the VOC which had been in decline since 1780, ended up in a bankrupt financial wreck in that same year. The Prince of Orange who had taken refuge in Great Britain, had asked the British to send a military force to the Cape to protect it against the French. The British, keen to expand their colonial might, were eager to oblige. And so the Cape Colony became British. The war between France and England ended in 1802 and the Cape was given back to the Dutch. When the war flared up again three years later, The British returned to the Cape. With victory for the British, this war ended in 1814. By this time the British had no intention to return the Cape to the Dutch. They offered the virtually bankrupt Dutch government a large sum of money and other possessions. The Dutch were not in a position to argue and they accepted on the condition that they could continue to use the Cape as a replenishment and repairs station for their ships. And so the Cape became a British colony. In 1829 a number of discriminatory bylaws were repealed and in 1834 slavery was abolished and all the slaves were liberated. In theory all races were now equal to the Europeans. There was much resistance by the Dutch population, who later called themselves "Afrikaners", against the liberal winds of change. This led to one of the most important and significant episodes in the history of the Cape and also that of South Africa, "The Great Trek". The Great Trek migration started in 1836 and lasted until about 1845. Wanting to break away from British rule more than 10,000 Dutch families left the cape for the interior of the country in search of freedom and independence. 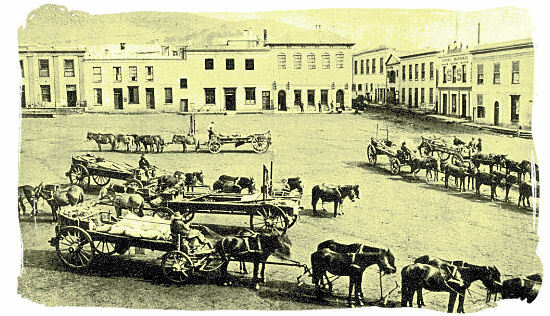 1840 saw another milestone in the history of cape Town, with the institution of the Cape Town municipality with a population at that time of just over 20,000. The discovery of diamonds in Griqualand West in the 1870s and gold at the Witwatersrand in the Transvaal in the 1870s led to unprecedented urban growth and consequently a flood of immigrants. Realizing that there was great riches for the taking beyond the borders of the Cape, the British started focusing their attention towards the interior. Inevitably this led to conflicts with the "Voortrekkers" or "Boers" as the newly established Dutch Community in the interior regions were calling themselves. What followed was a further momentous event in South African history, the two Anglo-Boer wars. The first one from 16 December 1980 to 23 March 1881 was won by the Boers with the British, not prepared for this war, eager to sign a peace treaty. The second one from 11 October 1899 to 31 may 1902 ended in clear victory for the British. With the British having gained control over the whole of South Africa with Johannesburg and Kimberley as the country's industrial and economic powerhouses, the status and position of Cape Town and the Cape Colony changed. With the unification of the Colony of Natal, the Orange Free state and Transvaal republics and the Cape Colony into the Union of South Africa 1910, the Cape Colony became in fact a province within the Union. 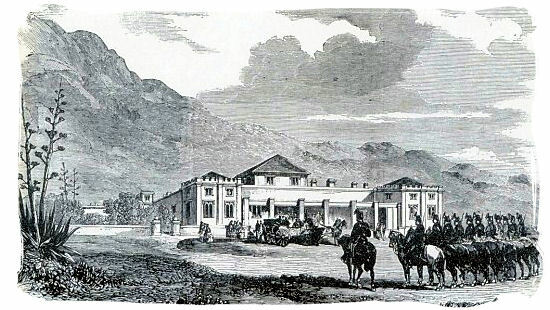 Cape Town became the capital of the province and legislative capital of the Union and later on also legislative capital of the republic of South Africa. In 1872 The Cape received self-government rights and all residents regardless of race could vote on the condition that they were property-owners. 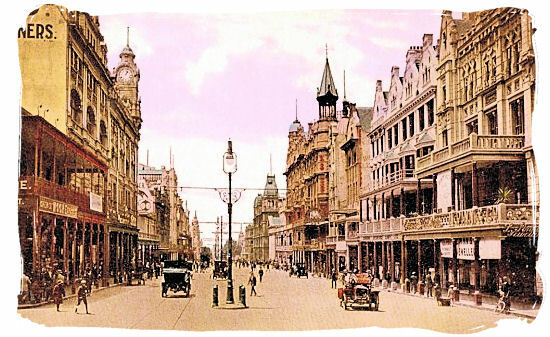 The early 1900s saw Cape Town growing fast into a modern city with a highly diverse population including a variety of Coloured, African and English and Afrikaans speaking people. It was also a period within which old racial prejudices came alive again and together with new laws and regulations caused increasing discrimination and separation between races. "Afrikaner" nationalism grew stronger and stronger and by 1948 the National Party won the national elections under the rallying cry of "Die swart gevaar" (the black danger), on a podium of racial segregation as official government policy. The torrent of racial legislation that followed, categorizing and controlling the South African people by race group, marked the start of the infamous apartheid years which lasted until 1994. After the Apartheid era, tourists and visitors started to return Cape Town, inciting unparalleled development of the city, turning it into one of the top 5 tourist destinations in the world.